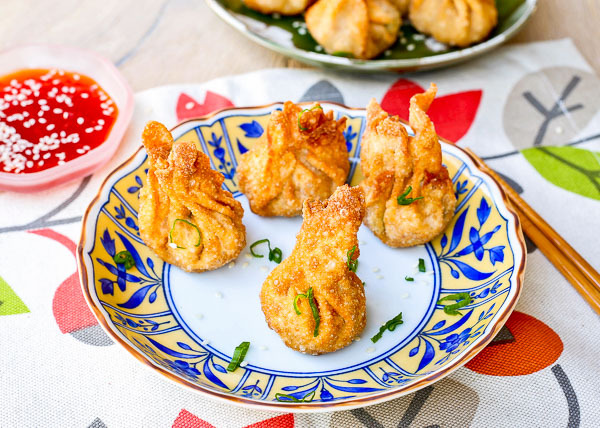 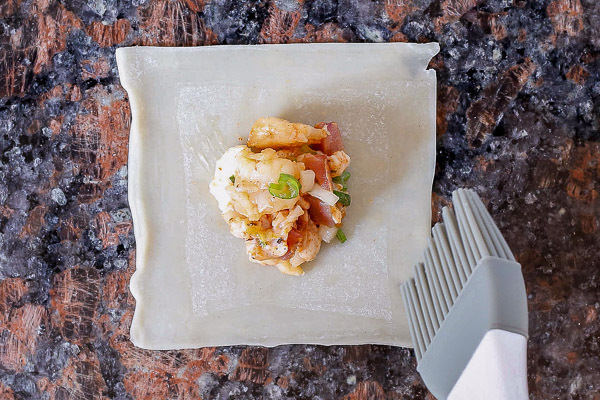 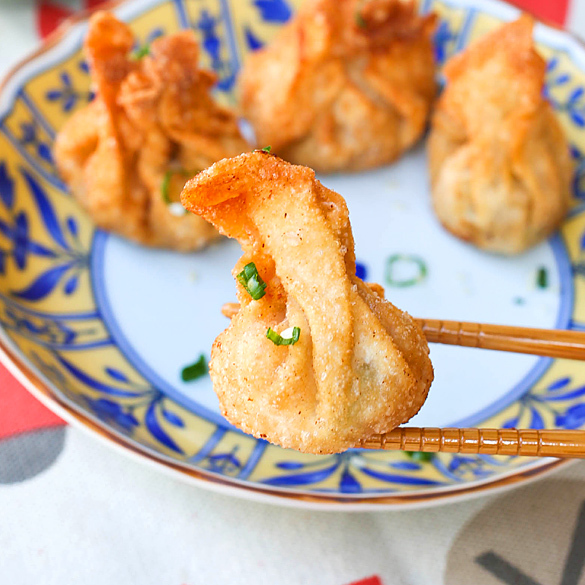 Place one wonton wrapper on your cutting board. 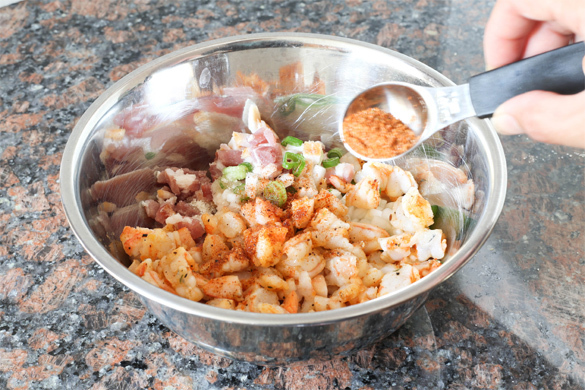 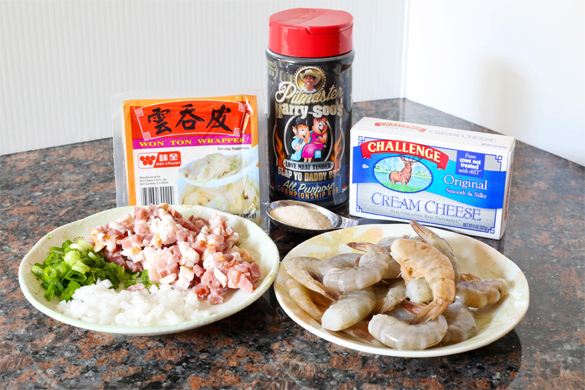 Spoon about ½ tablespoon of the mixture in the middle. 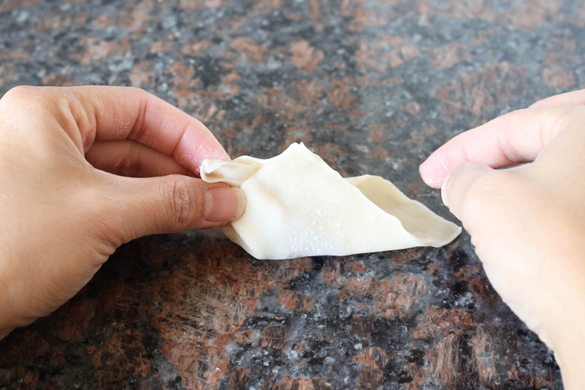 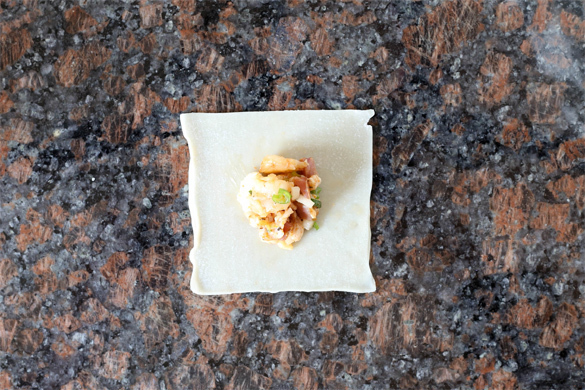 Use some water to moisten the edges and fold the wonton into a pouch. 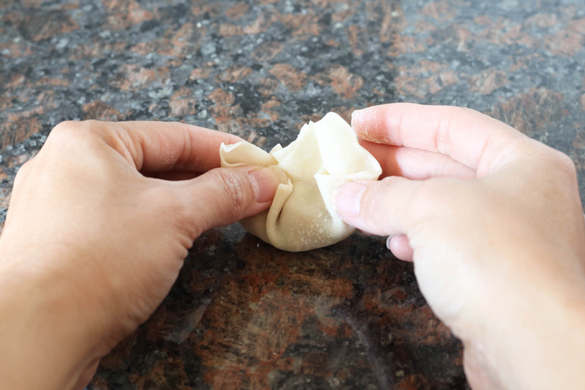 Pinch the edges lightly so the moistened wonton skin will seal. 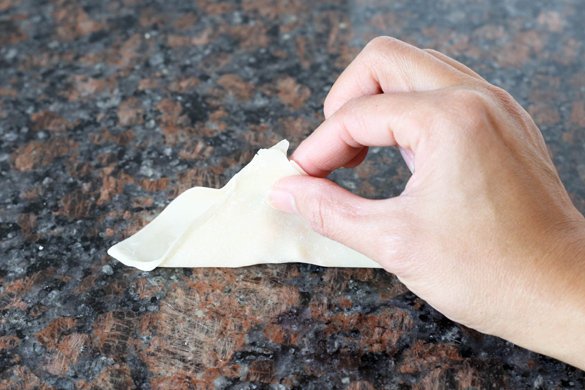 Repeat until all wrappers or mixture is used up.